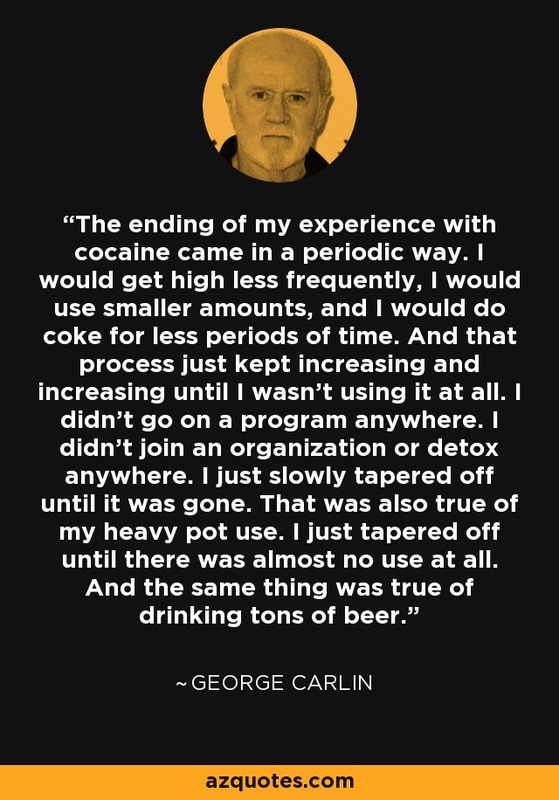 The ending of my experience with cocaine came in a periodic way. I would get high less frequently, I would use smaller amounts, and I would do coke for less periods of time. And that process just kept increasing and increasing until I wasn't using it at all. I didn't go on a program anywhere. I didn't join an organization or detox anywhere. I just slowly tapered off until it was gone. That was also true of my heavy pot use. I just tapered off until there was almost no use at all. And the same thing was true of drinking tons of beer.